Dozens of bald eagles carried on along the Des Moines River today. 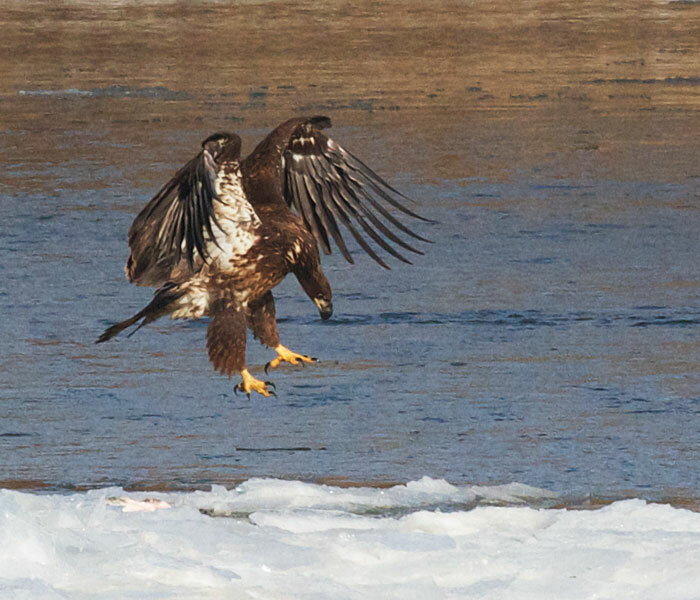 I love the total concentration in this juvenile eagle's posture as it comes in for touchdown on the floating ice. Also how the leggings are flared out and the toes are poised for contact.